What does “modern” look like in 2016? Today’s “modern” look is simple, clean, and organized. Sleek without clutter, modern style is the minimalist segment of interior design. This style recalls early and mid-20th century design with an emphasis on geometrical elements, open space, and a “less is more” philosophy. 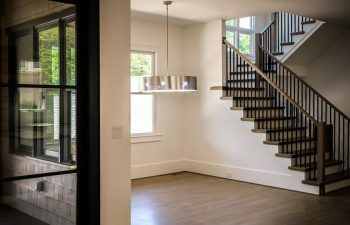 Where does modern staircase design play a role in this look? Functioning not only as a structural element but as a piece of furniture, a staircase can set the scene of a space in terms of overall style. 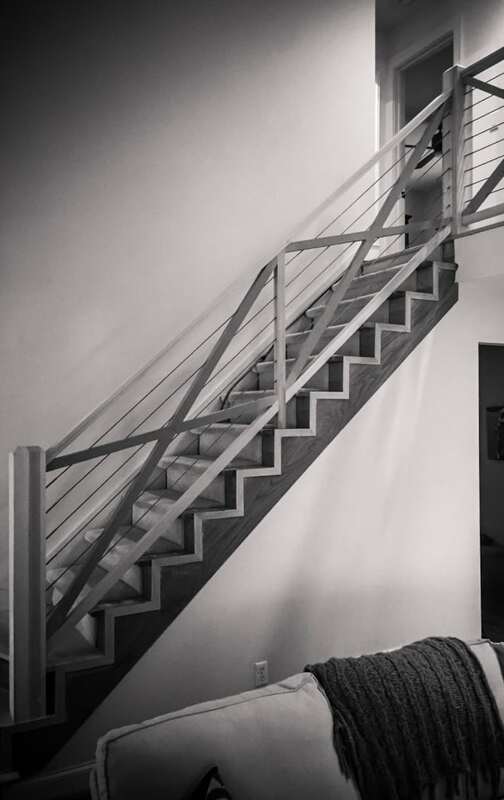 A sleek, minimalist staircase can take a modern interior design to a new level of sophistication. This week, we discuss trends in modern staircase design. First, color – black is a highly popular choice, displaying a chic and minimalist look. Often, a sharp black or dark stained tread is paired with plain white risers to create a clean, modern look without straying too far from traditional. Another common trend is the use of open risers, offering an airy look and allowing light to pass through. The clean lines and unobstructed views of open risers elegantly support the design of a modern home or commercial space. 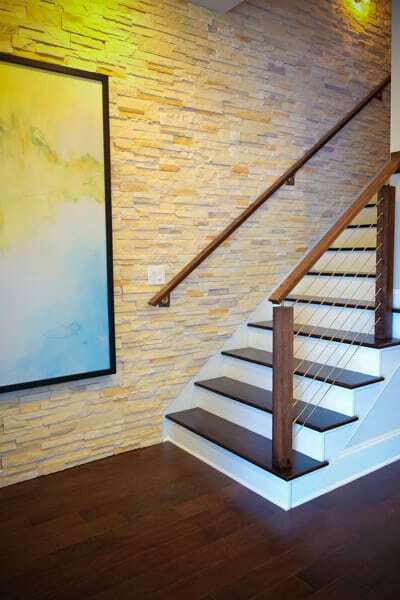 A staircase can easily become the focal point and center of your space, and a major element of staircase design is the handrail style. Today we share 5 modern railing designs that truly set their spaces apart. Polished and smooth, these styles are fresh and contemporary. First, this stainless steel staircase system is an excellent representation of modern design. Featuring thin, horizontal stainless steel bars in a parallel arrangement, this modern railing displays the geometric focus of modern style. Also a free standing curved staircase, it features open risers and is constructed of beautiful, curved wooden treads. 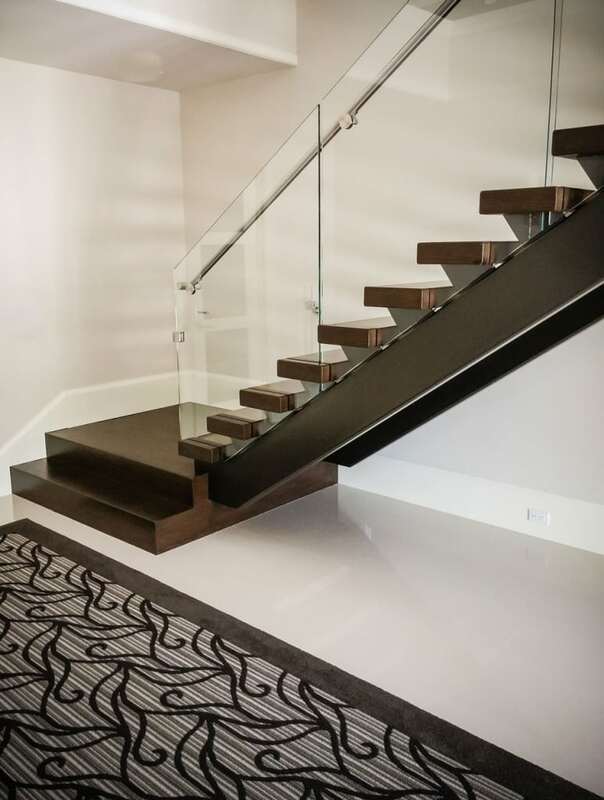 Lending sleek lines and open views to its space, glass is another popular choice for those seeking a modern staircase design. This glass staircase railing opens up the room, allowing unobstructed views throughout the area. Wood 2” treads and open risers complete the look of this modern staircase. Another popular selection among clients with modern style is cable rail. In the staircase below, thin, stainless steel cables form horizontal geometrical lines. This modern straight stair features red oak treads with paint grade risers, a clean modern design. This farmhouse style staircase is one of our favorites to showcase. The ultimate, sophisticated balustrade system, this custom handrail project combines wood cross bars with precision stainless steel cables. Learn more about this cutting edge handrail design in our custom cable railing blog. 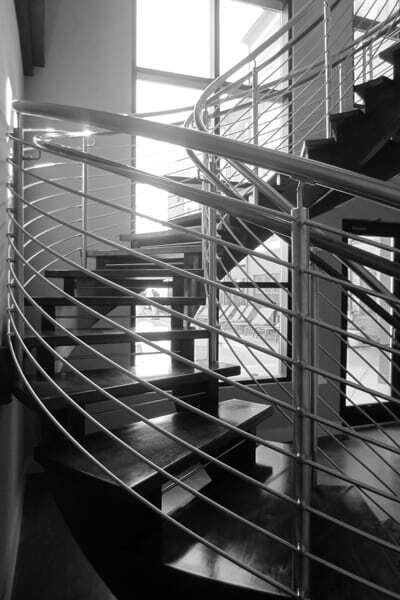 An alternative to the horizontal stainless steel bars or cable railings is a vertical arrangement of metal balusters. 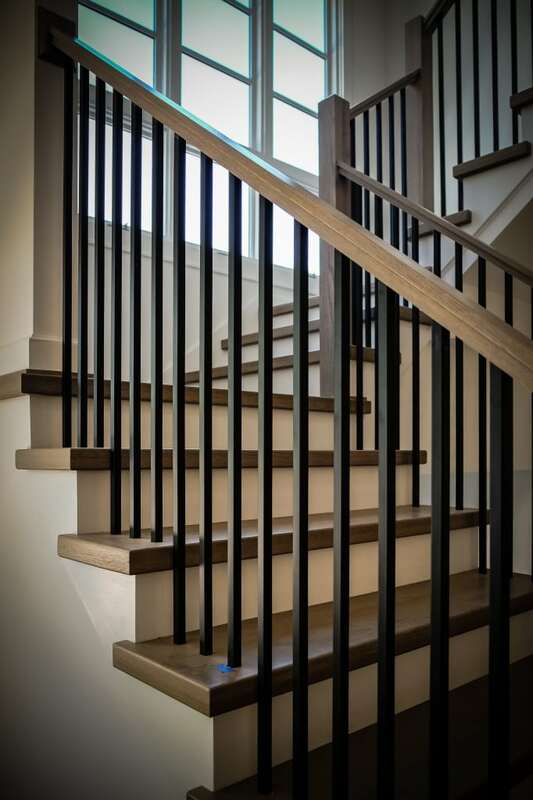 This staircase features a sleek T-rail handrail with simple, vertical mega ¾” metal balusters. A straight stair with 2” false nosing, red oak treads and paint grade risers, this staircase’s unique combination of materials lends a sophisticated modern appeal to its space. Visit our modern railing project gallery for additional details and pictures on our exquisite projects. From inspiration to installation our team is committed to designing and building the highest quality custom stairs. Our reputation speaks for itself and client satisfaction is our highest priority. Contact us today to discuss your next custom staircase project.